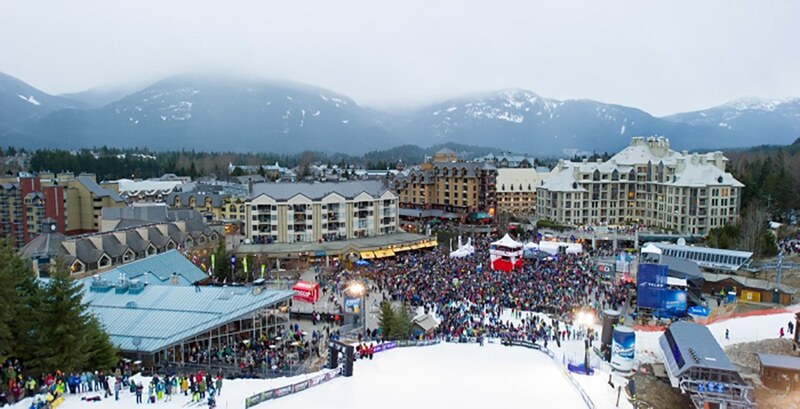 From April 10 to 15, 2018, the World Ski and Snowboard Festival will be returning to Whistler, British Columbia. Athletes from around the world, including past and present Olympians, will be joined by hundreds of spectators to watch the competitions and take part in the festivities. Some Olympians who will be competing include Robbie Dion – an alpine skier from the 2010 Vancouver Olympics – and Max Parrot, who recently won silver in the 2018 Pyeongchang Men’s Slopestyle competition. The main events taking place on the mountain include the Saudan Couloir Ski Race Extreme, the Monster Energy Boarderstyle World Championships, and Big Air events in both skiing and snowboarding. There’s also a film and photography component to the competition. A 72-hour filmmakers and photographer showdown will run during the course of the week. A number of events will also go down off the slopes to keep participants and spectators entertained for the duration. Apres-ski and late-night parties will be held on a regular basis around the city, with live music constantly being played at the Skiers Plaza. A number of clubs around Whistler will also be holding evening events. No admission fee is required to watch the festival, though some evening events and parties require tickets to be purchased in advance. The festival will take place all over Whistler Village and more information can be found online. Tickets: Admission to the Festival is free, tickets for evening events can be purchased online.